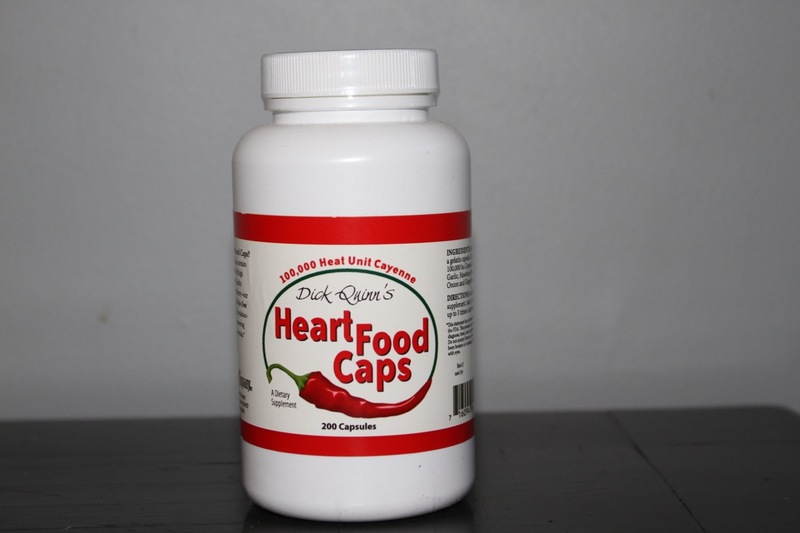 Heart Food Caps contain our unique blend of 100,000 heat unit African Birdseye and East Indian Cayenne plus garlic, hawthorn berry, ginger root, and onion. Heart Food Caps (25% cayenne) are a good choice for people trying high heat cayenne for the first time. As a dietary supplement, take Heart Food Caps with meals or simply add to food. Heart Food Caps are particularly tasty sprinkled over eggs, fish, meat or added to soup or tomato juice. 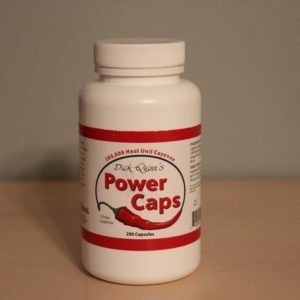 If you find yourself using two Heart Food Capsules at a time, you may want to try Power Caps, which contain 50% high heat cayenne. Available in 200 cap bottles and the economical 300 cap bottle. *This statement has not been evaluated by the FDA. This product is not intented to diagnose, treat, cure or prevent any disease. I have been using the Heart Food Caps for a year now to improve my circulation, I have been able to lower my blood pressure and reduce my medication, But an added benefit has been that my kidney function has improved drastically, I was in stage 3 kidney failure with doctors telling me it would never get any better and no help for my condition and within the year I have been on this medication I now have almost normal Kidney function. I never seen that coming. constantly make claims. All i can say is for me the heartfood caps are my savior. no more stiff legs or cold feet. love this product. 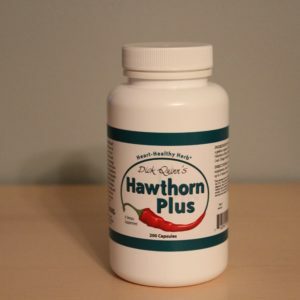 I am on my second year of Heart food caps and I do take them daily, The idiot person (Justine) that said my comments made no sense evidently does not under stand what improving blood flow can do for your whole circulatory system. and on the rest of the body’s organs. and how much blood flows through your kidneys per minute. My GFR rate was 42 ( stage 3) and has now been at 60 ( Normal )for 2 years which is normal by Mayo Clinics Nephrology departments kidney panel tests. I and they were as surprised of the improvements as well. It worked for me that’s and that all that counts in what I am trying to achieve , I believe every person is different and will see improvements in what is aliling. this was not what I intended to use the Heart food caps for but it did and I am glad. It did not help my stiff legs or cold feet but I wont say that it make no sense. because I don’t have that problem. Been using these products for 7 years now. Every afternoon with my lunch I down (4) capsules. I have a family history of heart disease, strokes and high blood pressure. I’m keeping my fingers crossed that this will help keep me from heading down the same road as so many of my relatives who have suffered or passed from this conditions. I have noticed my cholesterol and triglycerides have decreased and maintained over the years regardless of my fluctuating diet. My reg amine is (4) heart caps, (1) 1,200 fish oil, (1) COq10, (2) red yeast rice, (1) multi-vitamin, (1) krill oil everyday at lunch. WORKS for ME! I lived near the epicenter of the Northridge EQ and had High BP and heart fib et al following that. I started taking Health Food caps at that time and have been taking them ever since. I would wake up at night listening to my heart “gurgle” and try to ‘switch gears” or so it seemed to me. My cardiologist said I needed a valve replacement. A second cardiologist confirmed this. I asked how long I could put it off as I scheduled to make an extended trip over the next 6 months. During my trip I took the heart food caps 2 in the morning and 2 before bed. Toward the end of my tirp I found I no longer heard the gurgling or the “gear shifting” ! My cardiologist couldn’t believe it but I no longer had a valve problem. This might not work for everyone…..but I know it worked for me. I was also taking two Hawhtorne capsules twice a day (I think 500 mg each). vitamins” had a TIA while eating dinner to celebrate his 70th birthday, The ER doctor did a series of tests and advised him that all his arteries were badly clogged. His advice….”it is all down hill from here, you are 70!” That brought forth a request to me,,,,,,:what can I take?” He began on the heart food caps and 18 months later repeated tests (since the doctor couldn’t believe it) showed almost complete clearing of his arteries and that has been the case for the past 20 years. 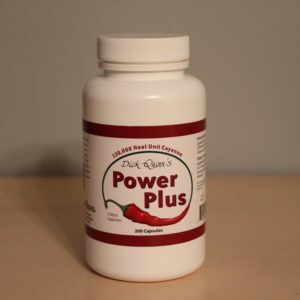 I was diagnosed with High Blood Pressure but I no longer take and BP drugs (which were causing terrible side effects) I control my high BP with supplements and Heart Caos is the foundation.